Red, white or bubbly? Lavelle’s Bistro in Fairbanks covers the bases for anyone’s taste. This restaurant may be thousands of miles from a thriving vineyard, but it’s known by many as the hub of wine education in the Interior. The bistro puts on numerous wine programs and even started a wine guild in 2002. Every Tuesday from September through March, Lavelle’s hosts wine tastings with an emphasis on education. Before settling on a wine for your fall celebrations — or any occasion — read on to learn more from co-owner and wine expert Kathy Lavelle. 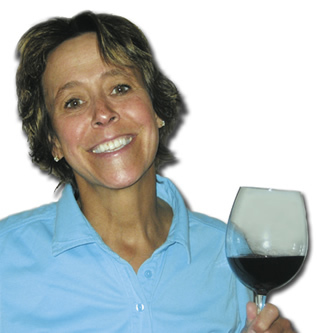 Alaska Home: What kind of wines do you enjoy? Kathy Lavelle: It depends — upon the time of year, weather, temperature, mood, etc. Wine is made to be enjoyed in the company of others. During the summer, I seem to drink a lot more refreshing white wine; in the winter, I enjoy heavy red wine. As a rule, in Fairbanks, we sell a lot of heavy California red wine. So much for the movie Sideways — we haven’t seen an increase in sales of pinot noir yet! AH: Do you have a favorite holiday wine (or a favorite one you’ll be breaking out this holiday season)? KL: I love champagne and sparkling wine — I believe that Americans in general don’t drink enough champagne. It goes really well with many different types of food. Why save it for a special occasion? Drink it now! AH: What other wines would you recommend for fall entertaining? KL: Every year we do a tasting called “value wines for the entertaining season.” I am always amazed at the incredible value out there. When I’m entertaining, I want to offer a wine that all of my guests will appreciate — but I don’t want to go broke. There are many wine publications that list great value wines. Some of my favorites: King Estate, Ore. — pinot gris (incredibly refreshing white wine) Los Cardos, Argentina — malbec (dry red wine) Kaiken, Argentina — malbec Cono Sur, Chile — pinot noir Lorinon, Spain — rioja (a lighter wine than cabernet; wonderful paired with pork, sausage, duck) Carol Shelton, Calif. — monga zin (rich, full-bodied, high sugar and alcohol content) Oyster Bay, New Zealand — sauvignon blanc Kim Crawford, New Zealand — sauvignon blanc Cycles Gladiator, Calif. — pinot noir, merlot, cab, etc. AH: Is it true what many of us have been taught — that white wine goes with fish and red wine with meat? KL: My general rule: Light food goes with light wine; heavy food goes with heavy wine. It is a very good rule of thumb. By the way, pinot noir (red wine) goes very well with salmon. AH: What would your dream meal (matching food and wine) be? KL: At Lavelle’s, I want our guests to take a bite of food and take a sip of wine and not have anything conflict. After each sip of wine you should have the desire to take a bite of food and not have one overpower the other. AH: How does one select wines to start a collection? KL: The only way is to begin to learn about wine — jump in feet first. There are no special books to read — you must have the desire to learn. The only way to learn is through the effortless task of tasting. Once you begin to taste, don’t be afraid to ask questions — that’s when the fun begins. Learn what wines appeal to your taste and start attending wine tastings and seminars. AH: Do you have any tips on storing wine? KL: The ideal temperature to store wine is between 56 and 58 degrees. Not everyone has the luxury of a wine cellar. I store my personal wines in what was once a root cellar. It keeps the correct temperature all year long and I didn’t have to invest any money. Use caution — don’t store the wine in an area where the temperature fluctuates. Store wine bottles on their side. AH: What does adding wine as an ingredient bring to food? KL: When you cook with wine, you typically want to reduce it. Reducing it evaporates the liquid — what you’re left with is a really concentrated alcohol/fruit mixture. It’s great in lots of sauces, soup, stews and marinades — it adds an aromatic new flavor profile. We cook with wine (in the restaurant) all the time. We also cook with sherry, port, madeira, vermouth. When people take a bite of a dish and can’t put their finger on that subtle, distinct flavor, it’s usually the wine they’re tasting. As a rule of thumb, don’t cook with a wine that you wouldn’t want to drink. Don’t ever use wine that may have gone bad or appears to be flawed in any way. AH: What do you recommend as a great gift for a wine lover (or that you’d like to receive)? KL: A set of nice wine glasses. They break easily but I know people really appreciate drinking out of nice glasses. Riedel and Spiegelau are two of my favorite brands. They have specific glasses for burgundy, bordeaux, port. Every time I give a nice glassware set as a gift, (the recipient) is so grateful!